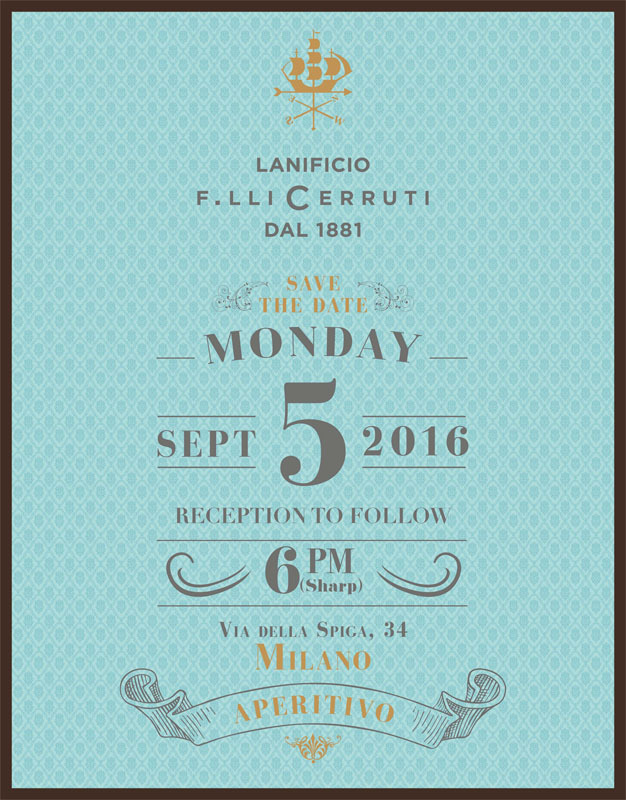 We have the pleasure of inviting our friends and customers to a moment of conviviality, which will take place on the 5th of September at 18,00. Please find enclosed the Save the Date invitation. We look forward to seeing you in our new space in Via della Spiga, 34 – Milan, for an informal aperitivo before the intense working days at the trade fair.